A friend and I were talking recently about the difference between sight in the liturgy and sound. If a liturgy looks silly, as it invariably does when the priest is facing the people but addressing God, one can always close one’s eyes and retreat into the interior castle (or at least make the attempt). But if there is endless blather and/or loud muzak, one cannot close one’s ears — and it would be rude to plug them with one’s fingers or reach for the wax earplugs. Put simply, the sound of the liturgy is more unavoidable and more determinative than the sight of it. The modern liturgy is pretty much designed to be a non-stop talkie from start to finish. Either the priest is talking or the lectors are talking or the people are making responses or songs are being sung. There is nary a moment to absorb what has been uttered, to reflect on what has been sung, or to prepare for the next step, whatever it might be. One feels like the unfortunate pupil of an overbearing governess who never stops lecturing him about how he must tie his shoes, wash his face, do his long division, and write in his copybook with a regular cursive. Let us face it: a recited vernacular Mass, with the priest going on and on and on in a rambling monotone, can have a soul-deadening effect. 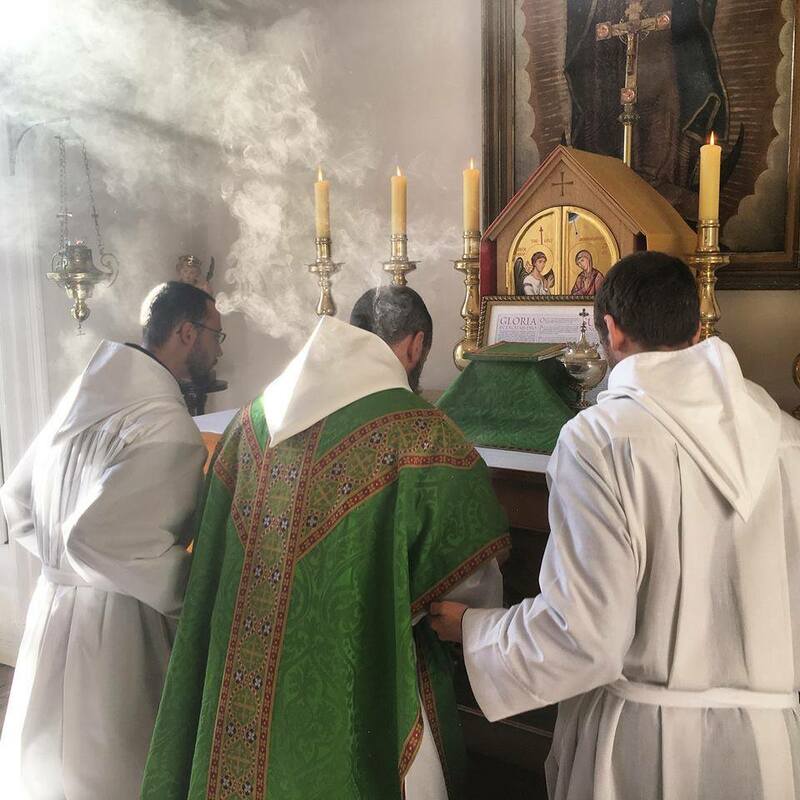 Because everything is said aloud and facing the people, it is the opposite of a traditional Low Mass, which is said quietly and facing the Lord. Because there is so little singing and so little silence, it is also the opposite of a traditional High Mass. At the Novus Ordo Neither-High-Nor-Low Mass, one drowns in an ocean of dull verbiage. No wonder the Church is dying: how could it survive such waves of boredom, worse in their own way than any iconoclasm? Young Catholics who are serious about their faith crave the silence and spaciousness of the traditional liturgy, the way it moves slowly, breathes, opens out, respects and demands one’s own prayer, made in one’s own way and at one’s own pace. It is so liberating to attend a Mass where the focus is somewhere else, beyond, and you catch up as you can, without being addressed or cajoled. It is merciful to our weaknesses and yet plays to our strengths. Priests, dear priests who must celebrate the Ordinary Form: please, please do everything you can to avoid this death by verbosity! Pray the Roman Canon sotto voce, so that it is just barely audible and preserves its dignity, rather than being announced like the daily news so that it loses its sacrality. Make sure you are chanting as much of the Mass as you can, and that a choir or schola is chanting the Ordinary and the Propers. 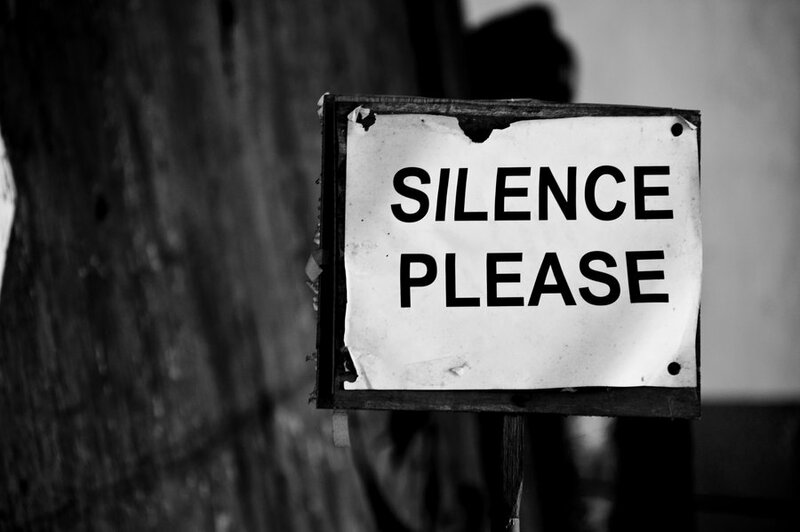 Make sure there is silence. Only in these ways can the Ordinary Form avoid being a form of torture to the ears of body and soul. With fifty years of sonic saturation behind us, we can appreciate far better the age-old wisdom of Holy Mother Church, who bid that her High Mass be sung from start to finish and her Low Mass be as quiet as a whisper. In a solemn Mass or a Missa cantata, almost everything is either chanted or done in silence; only the Confiteor before Communion (if there is one) and the “Domine, non sum dignus” are spoken. This means about 99% of the liturgy’s audible words are chanted. In a Low Mass or a Missa recitata, everything is spoken by the celebrant sotto voce or silently, so that it is perfectly obvious to worshipers that the priest is speaking intimately to the Lord, not addressing a message to them. As a result, it is far easier for the laity themselves to pray — they are borne along the river of prayer that flows from the priest’s lips. Thus, tradition presents us with the marvelous spectacle of two forms of worship, one of which alternates ecstatically between song and silence, while the other is absorbed in a colloquy of love that dares not profane itself with the voice of everyday speech. Both are admirably suited to foster prayer: the prayer of the community, the prayer of contemplation, the prayer of the heart. With the Novus Ordo, all this has been banished. Where have the chanted propers, the chanted Ordinary, the chanted priestly prayers, gone? Where has the profound silence gone? In a typical weekday celebration, 95% of the liturgy is spoken out loud, towards the people as an audience. It is talk, talk, talk, a wearisome march through texts that are not even particularly notable for their literary qualities (unlike, in this respect, the Anglican Ordinariate liturgy, which is free to draw upon some of the best English prose ever put on paper). No wonder it has so little impact on the soul: it neither creates the space required for assimilation nor exults and woos with the song of the divine lover. It is, as it were, neither cold nor hot, neither speechless nor lyrical; it is lukewarm — and we know what happens to the lukewarm. Song is the realm of the lover, the mourner, and the bacchante, of heightened experience, of exultation and nobility, of beauty finding its voice. Silence is the realm of mystics in the grip of ineffability, genius concentrating on a problem, poets reminiscing and reaching for a word, the simple man confronted with realities vastly greater than himself, like love and death. Speech, for its part, is the realm of the ordinary, the matter-of-fact, the realm of commerce and politics. This is why both sung liturgy and silent liturgy are glorious, effective, and rich, each in its own way, while spoken liturgy is pale, feeble, and impoverished, a failure off the blocks. We are looking at a phenomenological difference that goes to the very heart of worship — what we are doing, towards whom, by whom, and why. There are ironclad laws of psychology that warn us against the naïve belief that our theories correspond to reality, and never is this more true than in the transition from liturgical theory to contemporary praxis. The Novus Ordo era has witnessed gigantic scholarly defenses that sprawl across many volumes of text, but none of this matters in the least for the actual experience of worship. No matter how many books of theory are written, the fundamental mode of a liturgy conveys a message more obvious than any explanation. The person who enters a church and is caught up in the music and ceremonial of a High Mass or challenged to silent prayer by a Low Mass, both of which are obviously directed away from him towards the numinous Other, is experiencing divine worship, pure and simple. The person who enters a church and is literally confronted by a speaker emitting copious quantities of speech is experiencing a self-help seminar, regardless of whom the text is addressed to. We can recognize here the prescience of Marshall McLuhan, who, intuiting that the medium somehow is the message, knew that bringing microphones and speakers into churches could have no other effect than to undermine the liturgy. The medium of the Mass is its first and abiding message to the faithful, within which everything else finds its place, acquires its color or tone. Liturgical song ennobles all that it touches, turning the wood of words into the gold of glory. Silence endows all that it envelopes with a spirit of tranquility and a transcendence of orientation that allows words to keep their primordial freshness, as if they were coins never worn by constant handling. Of the three sisters, speech is the mode that risks profanation and buffoonery. Is it not famously awkward to speak at the most terrifying or wondrous moments, in an intimate embrace before or after a long parting, in a time of excruciating crisis, insoluble anguish, or unexpected victory, when one is face to face with the inscrutable, the inexorable, the immeasurable? Speech can do nothing in these situations except make a fool of itself or bring discredit to its subject. Far better to sink into silence or find a music that, with uncanny modulations, goes beyond the realm of speech into that which is intuited, felt, or mused on. This is just what traditional liturgy does: it sinks gratefully and calmly into silence, or it finds a chant that conveys the inner “visage” of the words in a manner subtle and penetrating. The most perfect exemplification of this dialectic of music and silence is the traditional Solemn High Mass, of which the Missa cantata is an echo. The new liturgical movement should be striving for nothing less than a Solemn High Mass every Sunday in every parish. I realize that this goal is far, very far away, but it must be our goal. Priests who know neither the peace of the Low Mass nor the glory of the High Mass: what are you waiting for? Learn to celebrate the Low Mass, and after that, learn the Missa cantata so that you can introduce it to your people! Catholics are starving for real liturgy — liturgy in which the silences and the music make integral sense, rather than seeming like random add-ons supplied by aging hippies or unguided volunteers. Speech has been bossing around her sisters far too long. It is time for liturgical silence and liturgical song to take their proper places in the life of the Church, for the life of the world. A reader may wonder what I think about the Dialogue Mass, the question that divides father against son and son against father, mother against daughter and daughter against mother, etc. I think there is a peculiar beauty and power in a Low Mass that is whispered by the priest at the side altar early in the morning, and that this should never disappear from the life of the Church. I have also seen the Dialogue Mass work well in a situation where there is a congregation conversant with the Latin responses and eager to make them with the servers. Even in a Dialogue Mass there is plenty of silence; it does not (or at least need not) lose the prayerfulness characteristic of this classical liturgy. It seems to me that a dogmatic position for or against the Dialogue Mass is something that should be avoided like the plague. See my article "The Problem of the Dominant Low Mass and the Rare High Mass."